Though this ink is named Passion Red, I thought it looked a lot more coral red than anything else. It doesn’t seem to have the fiery red that I would expect from an ink named Passion Red. 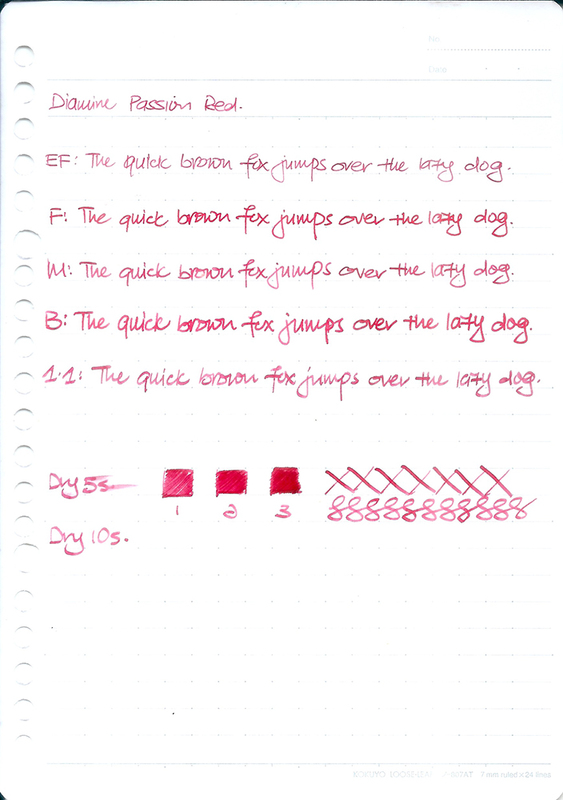 Besides the slight mismatch in the name, Diamine Passion Red is a totally serviceable red ink. I’d rather go for orange inks if I am looking for something bright and eye catching. Diamine Passion Red shades from a salmon red to a tomato red. It goes down darker but dries to a peach-red sort of colour.